I started my year-long project called awesome #philippines80 last May 2012 and hopefully I can visit all 80 provinces until May 2013. I first visited the province of Marinduque being the geophysical center and heart of the Philippines. It was intentional for me to visit Marinduque first because I wanted to start my journey from the heart. The last province I will visit is already in my calendar. I won’t divulge where it is but certainly there is a reason why I am saving it for last. Would you guess which province? The following is a run-down of what I think is the highlight of each province I have visited. As of November 2012, I have struggled to see and experience the ‘off the beaten path’ but there are instances where the populars are in the list. There are 41 provinces in this ‘half way stop over’ and I hope to see the remaining 39 by May 2013. Agusan Del Norte is a historically rich province. It’s capital was previously known as Kingdom of Butuan long before the Spaniards arrived in the Philippines. For Agusan Del Norte, I consider my visit to the Ruins of Banza Church – the oldest stone ruins in Mindanao Island – as the highlight of my visit here. Today, what remains is the bell tower being engulfed by Balete Tree. Agusan Del Sur is so blessed with natural wonders but I consider my visit to Agusan Marshland as the highlight of my visit here and perhaps one of the highlights of my entire awesome #philippines80 journey. Agusan Marsh is one of the most significant marshes in the world. It is the home of morethan 200 species of fish, trees, plants and other flora and fauna. 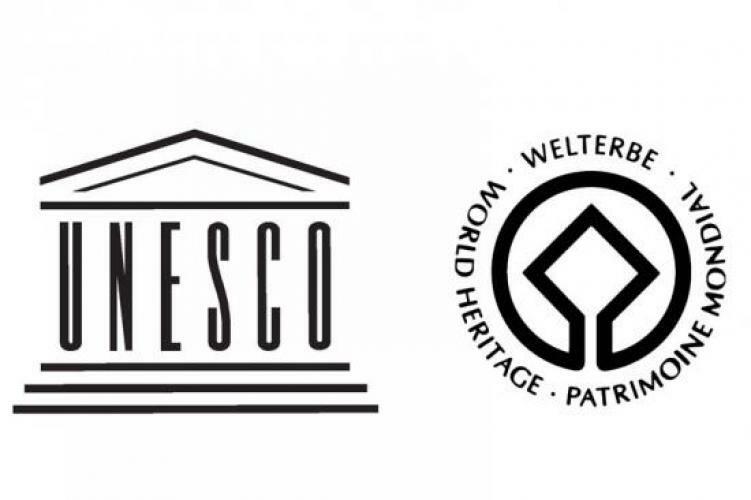 It is included in the tentative list of UNESCO World Heritage for Conservation. Boracay is in Aklan but I wont visit it as part of awesome #philippines80. Instead, I consider my visit to Bakawanan Eco Park in Kalibo as the highlight of my journey in this province. Another fun thing to do while here is to try ‘tamilok’ fresh from the rotten bakawan trees. Though very popular and not off the beaten path, Mayon Volcano is still the best thing to experience in Albay. My visit here is capped by my ATV adventure until the lava wall. Mayon Volcano is the world’s most perfect cone volcano. Aurora is popular because of Baler’s surfing coasts and because it’s just few hours away from Manila. However, my visit to Charlie’s Point is the highlight of Baler. It is in this place where the surfing scene in the Hollywood movie ‘Apocalypse Now’ was filmed in the 70s. Surfing then was never a thing in the Philippines. My travel to Basilan is a dream come true. There are lots of beautiful places to see here but I consider my visit to one Rubber Sap Processing Plant as the highlight of my journey. Processed Rubber Sap is the province’ major export and source of livelihood of the people. Basilan is a rubber plantation country. I din’t know about this fact until I got there. The Town Hall of Biliran Town was the headquarters of the Japanese soldiers during WWII. Unusual but during these times, Japanese soldiers and the locals of Biliran lived harmoniously and peacefully with each other. No historical records of abuse has been recorded. Bohol is a popular destination because of Chocolate Hills and tarsiers but my visit to Punta Sta Cruz is the highlight of my journey here. Punta Sta Cruz, a centuries- old structure, is a unique watch tower with a triangular base and a hexagonal second floor. It was spared from destruction during the WWII. It may be known world-wide but I still consider Caramoan as Camarines Sur’s best known secret-no-more. The beaches, sands, waters and cliff formations in Caramoan peninsula are simply breath-taking! Camiguin is among the top destinations promoted by the Department of Tourism and I find the Sunken Cemetery as the single most identifiable attraction of the province. The word Capiz may sound a bell to many Filipinos because of myths and legends. I consider my visit to Sta Monica Church in Pan-ay as the highlight of my visit here. Sta Monica’s Church Bell is the biggest in Asia and 3rd in the world. It measures 7ft in diameter and 5ft in height and weighs 10,400 kilograms. Cebu is another Philippine top-notch destination and I consider my visit to Osmena Peak as the highlight of my journey here. Osmena Peak is Cebu’s highest mountain summit. Davao Del Norte is more popularly known as the country’s top banana producer. As a matter of fact, most of our banana exports come here. However, the highlight of my journey here is my visit to the World’s Biggest Wooden Rosary located at the back of Tagum Cathedral – one of the country’s largest cathedrals. My journey to Davao Del Sur is capped with an awesome visit to Passig Islet. Passig Islet is a white sand island popular among locals. I got my first glimpse of the popular ‘Pacific Sunset’ here. Davao Oriental is in my list of Top 10 Most Beautiful Provinces in the Philippines. Among the many scenic spots the province offers, Aliwagwag Falls still tops my must-see list. Aliwagwag Falls is the Philippines tallest/longest waterfalls. I might have branded Dinagat as the ‘Ironic Promise Land’ but still, the province offers bunch of natural wonders after wonders. Topping my list is Tagbirayan Beach which has a golden fine and soft sand. It is one of the softest sands I have set my foot on. Guimaras is a wonderful island and perhaps one of the most beautiful island provinces in the Philippines. It is in Guimaras where I found my personal choice of Most Beautiful Philippine Waterfalls. Sadsad Falls is the most beautiful waterfalls I have seen since I started my #awesome #philippines80 journey. The highlight of my Ilo-Ilo journey is my visit to Bato Simbahan Underground Water Falls/Labay Underground Waterfalls. By far, it’s the toughest adventure I have made and it almost cost my life. But all is well that ends well because I am the first blogger to have reached this underground waterfalls. Indeed, this is one of the major highlights of awesome #philippines80. Read my story here. La Union is a famous surfing destination and Urbiztondo, San Juan tops my list. It is Luzon’s most famous, visited and talk-about surfing haven. Laguna is one of the Philippines’ top tourist destinations because of its proximity to Manila and variety of cultural, historical and natural wonders. Top on my list is the century old Nagcarlan Underground Cemetery which is the first and only of its kind in the Philippines. Iligan City in Lanao Del Norte is known as the City of Magnificent Waterfalls being the home of some 32 identified falls. Of all the gergoeus waterfalls here, Maria Christina Falls stands out among the rest. It is Philippines’ Mother of Waterfalls. It produces hydroelectric power that lights up most of Mindanao. Leyte is another province blessed with so much wonders but I find the man-made San Juanico Bridge as the most must-see. It is the Philippines’ longest bridge that connects the islands of Leyte and Samar. Marinduque is a small heart-shaped province that can be easily accessed through RORO from Lucena. There are many beautiful sites here but I consider my visit to the Shrine of the Battle of Pulang Lupa as the highlight of my journey. It is located on top of a mountain more than an hour by foot from the national highway. It is the site of a bloody revolution where the Filipinos won over the Americans in 1900. St John the Baptist Church in Jimenez Town is one of the best old churches I have seen since I started my awesome #philippines80 journey. Most of the church’ original structures and adornments are still in-tacked. Misamis Oriental offers many scenic options but my visit to Lasang Secret Adventure is my favorite. It is here where I had my first canopy walk. It is also here where I had my first zipline experience. It took me almost an hour before I finally released the rope. Biking from Poblacion Sagada to Lake Danum is one of the best things I have done since I started awesome #philippines80. I brought my own bike just so I can tick-off this one in my bucketlist. Negros Occidental is in my list of Top 10 Most Beautiful Provinces in the Philippines. And among the many beautiful places to see here, the Unfinished Cathedral of the Immaculate Conception struck me the most. Check out its story here. El Nido is Palawan’s best kept secret-no-more. Pangasinan is in my list of Top 10 Most Beautiful Provinces in the Philippines. The province has many natural wonders to offer but I find Cory Islet – an all-dead-coral island – as the most unique among the many wonders here. The islet has been formed after an earthquake in 1992. It is one of the most unique islets I have seen. My journey to Quezon is capped by my visit to Bonsai Island located very close to Cagbalete Island. Bonsai Island is a flat volcanic rock formation that only appears during low tide. It is called Bonsai Island because of the two century old bonsai trees here. My visit to the Hanging Coffins of Fallel is another milestone. I am the first blogger to have reached this place. The T’bolis of Fallel practice “burying” by hanging their deads under the branches of pomelo trees. Check out my story here. Sorsogon is famous for Butanding (Whale Shark) Interaction but I consider my visit to Lake Bulusan as the highlight of my visit in this province. Lake Bulusan and Bulusan Volcano is said to be the Switzerland of the Far-East. Apart from its beautiful scenery, I managed to walk to and from the park under the heat of the sun. The Municipality of Lake Cebu is the province’ prime tourist destination. It offers various natural and man-made attractions such as the 7 Falls Zipline. The highlight of South Cotobato is still the lake – Lake Sebu. Southern Leyte is popular because of its beaches. But the highlight of my journey here is my visit to San Jose Church. San Jose Church in Matalom is a century old structure made of corals. The church is still in its original form. Surigao Del Norte is another province blessed with so much natural wonders. No wonder why there are lots of mining companies here. Despite mining and logging, Surigao Del Norte is still in my list of Top 10 Most Beautiful Provinces in the Philippines. The highlight of my visit here is Cloud 9 in GL. General Luna or GL is the Philippines’ top surfing site and is one of the best in the world. My No 1 in my list of 10 Most Beautiful Provinces in the Philippines is Surigao del Sur. Among the many scenic places the province offers, Britannia Group of Islets tops my list. This awesome group of 23 islets can easily put to shame Boracay and El Nido. And seriously, please don’t mess up this paradise when you visit. Tawi-Tawi is the farthest Philippine Province and one of the less priority in terms of tourism. In fact, there is hardly any infrastructure for tourism here. Despite that however, Tawi-Tawi has the best of the Philippine Islands – fine white sand beaches, crystal clear blue and green waters, coves, caves, and alot more. But the highlight of my journey is my visit to Bud Bongao. Bud Bongao is Tawi-Tawi’s tallest mountain. So they say, you have never been to Tawi-Tawi if you haven’t climbed Bud Bongao. Zambales’ prime tourist destination is Mt Pinatubo Crater Lake. To reach Mt Pinatubo Crater Lake, one has to take a 1.5 hour of 4×4 ride and a two hour trek amidst lahar walls and rivers. It may be tiresome and punishing but the reward at the end of the trek is truly amazing. The highlight of my journey here is my visit to the Historic Town of Dapitan. Dapitan offers various attractions from fine white sand beaches to historic sites and churches. The inclined tricycles of Pagadian remains the best to see and experience in this province. awesome #philippines80 is my personal journey to visit all 80 Philippine provinces within one year. All my travels are personal in nature. Not a single travel has been sponsored. No single room has been given for free. No single meal or transportation has been given as a gift. Hence, none of my stories and experiences are adulterated nor altered for publication, commercial and promotions purposes. As a solo traveler, I wanted my experiences to be genuine and free from biases in exchange of free ticket, free room, free meal, free coffee, free massage, free transportation, free entrance or gift certificates. Perhaps, the only thing I got for free is wifi connection. Also, I do not have an accounting of my travel expenses simply because I don’t want to put monetary value on my travel experiences. Certainly, I did not travel on a cheap budget nor have traveled luxuriously. I spent according to what I can afford. I hope it is not a long list. hi nath. thanks alot! thank you also for our ‘meet-up’ in surigao city. nope, batanes is not the last province i will visit. hehe. Great blog. Its inspired me to travel more…. Thanks for bringing us to all these provinces in a single blog. Looking forward to seeing the rest of the 80 provinces by May 2013. Even if it were a 100 provinces, it’s always endearing reading about your adventures plus the photos is also a great way to appreciate the place you’ve been to. By the way, Seeing that you’ve biked in Sagada, I’m assuming to bump into you into future duathlons. Go for it! Mas masaya sya kesa runs kasi sarap din mag bike plus magkaibang muscle groups and nag wowork sa bawat bike and run leg. Palawan is my next target 😉 Dapat nakavisit na ako dun kung hindi lang nagsara ang CleverBuy. tsk! Galing, naaliw ako sa post mo. For less than 15 mins of reading your blog and staring at the pics, parang lumibot na ako ng Pilipinas. Keep on inspiring us to travel! thanks alot mich of @chasingphilippines! nice nature and historical scenes. lots of things to do there, from relaxing on the beach, to taking tours to check out old churches and learning about filipino history. then, maybe dropping by the marketplace to buy some filipino souvenirs. What a marvelous life you’re living. You are so blessed to be able to experience so many great wonders here in the Philippines. i am living an adventurous life. hehe. thanks alo! My favorite picture was the Tagbirayan Beach, the place looks awesome. Hope I can visit those places soon. yeap, and Dinagat is really beautiful! thank you so much ms joa! 80 provinces in a year? Wow, I envy you! 🙂 I’ve only been to 18 provinces from your list above. I plan to visit all the provinces as well but that would probably take me a few years pa to complete it. 🙂 Anyway, good luck and cheers to more travels. Can you put a spot on this sight so people can sign their chrilden up for sports online just in case they can’t make it to the sign ups in person? wow, this is very impressive! awesome places you’ve been in-you’re very lucky! keep on exploring 🙂 p.s. : nice photos too! Your journey was one of a kind it was enjoyable to read & the places are inspiring to visit keep it up! Thanks for this post. Hoping for the visit of these awesome places. thanks alot mica, my pleasure to have met you! keep on traveling as well! Congratulations! Nakakabitin man basahin ang ilan sa mga featured provinces, you have certainly captured their essence, at least to your own preference. Great images as well. I wonder how you managed to take photos with yourself in it? Did you have someone take it for you or did you have the right gadget and tricks to pull it off?…..Anyway, your blog is a great travel guide. I also guessed Batanes to be your last province to visit, but you already answered that. hi rico. thanks. all my photos are taken by random people i met on site, or my tour guides or drivers, just anyone around. hehe. RSS. I don’t know why I am unable to join it. Is there anybody having similar RSS problems? I JUST STUMBLED ON YOUR BLOG THIS JULY 2014. I AM SO PROUD AND HAPPY THAT YOU HAVE THE PASSION AND DISPOSITION TO TRAVEL AND SEE THE DIFFERENT PROVINCES IN OUR COUNTRY. IT INDICATES A GENUINE LOVE AND CARE FOR OUR PHILIPPINES. BE SAFE ALWAYS AND MAY YOU HAVE THE STRENGTH TO FINISH YOUR JOURNEY AROUND THE PHILIPPINES. YOU ARE INSPIRING OTHERS, INCLUDING THIS ONE, TO DO THE SAME BY GOING AROUND THE PHILIPPINES. MABUHAY KA!!! hi sir. thank you very much! keep safe. God bless always. I got to visit with my family only some of the places you’ve been to. I will keep following your blog posts to keep track of those we shouldn’t miss. For sure, we cannot do it in a year. Ours might take more years because we only get the chance to travel during breaks.You are an inspiration! Godspeed!